Undoubtedly ASUS is one of the major old laptop brands in the world. 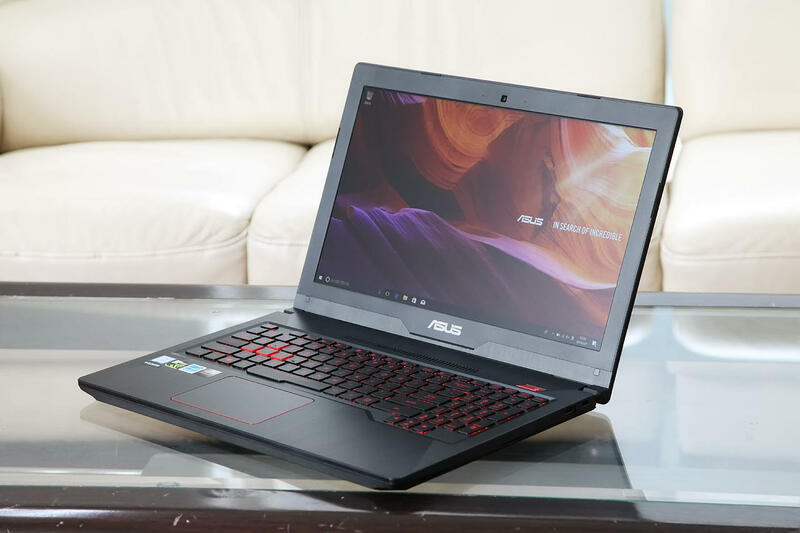 ASUS’ gaming laptop has been most consumers’ first choice with its excellent appearance design and good performance. 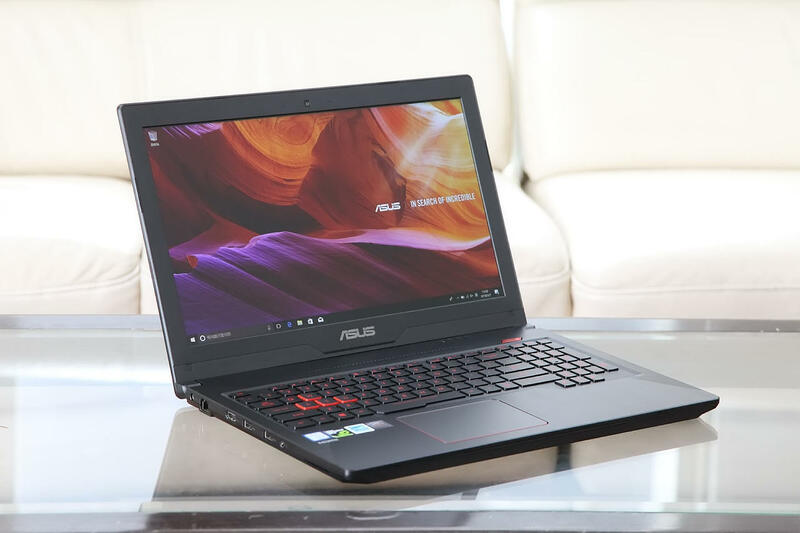 But the ASUS gaming laptops all have one common drawback – poor screen quality. 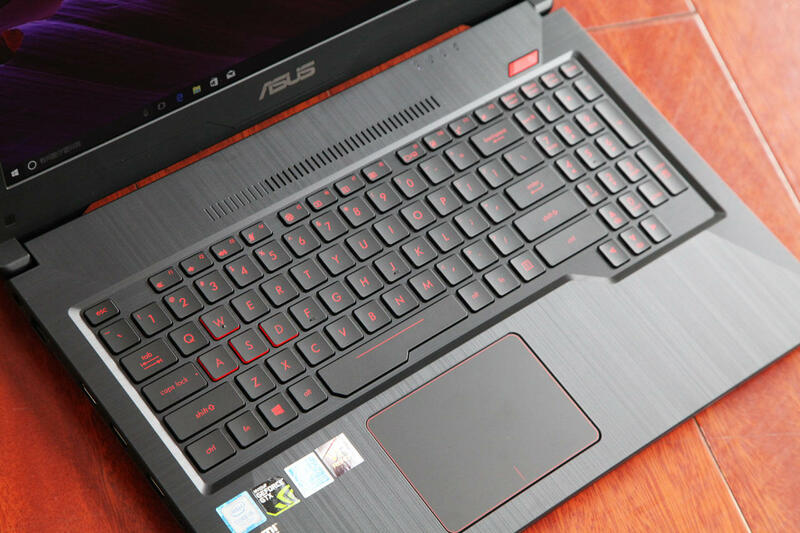 However, the new-generation ASUS FX503VM features a screen with good quality. 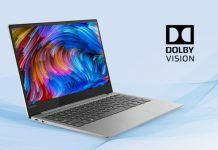 The laptop not only has excellent appearance design but also brings good performance. Today, we will test the ASUS FX503VM from different aspects. The ASUS FX503VM has brief but unique appearance design. The laptop uses wire drawing process on the body to bring better texture feeling. There are lots of vents on the back cover of the laptop to bring enough air for the cooling fan. We can also notice that there is an area on the back cover of ASUS FX503VM which can be easily taken out. Such design is to make it more convenient for the user to upgrade hardware. The screen that the ASUS FX503VM features is its biggest highlight. 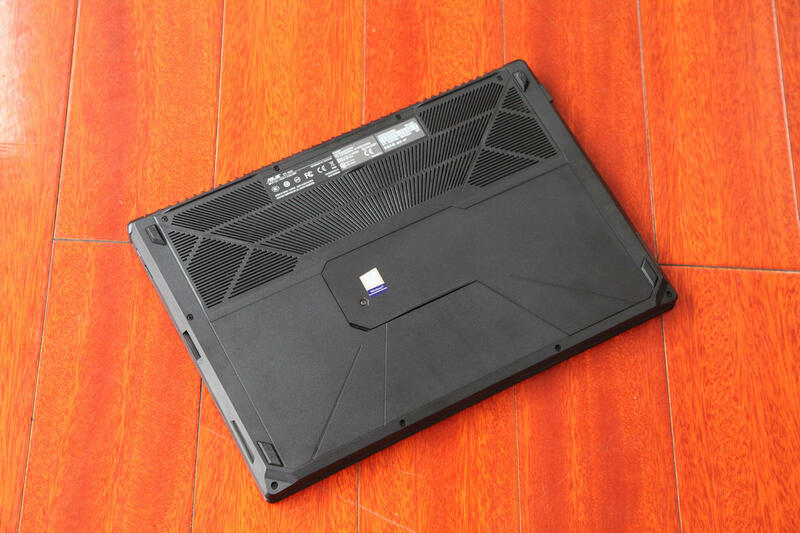 The laptop adopts IPS screen which has excellent performance in color display and high refresh rate up to 120Hz. For e-sports players, this screen can greatly improve their game experience. Besides, the laptop comes with a 15.6-inch full HD screen with the resolution of 1,920 pixels by 1,080 pixels. 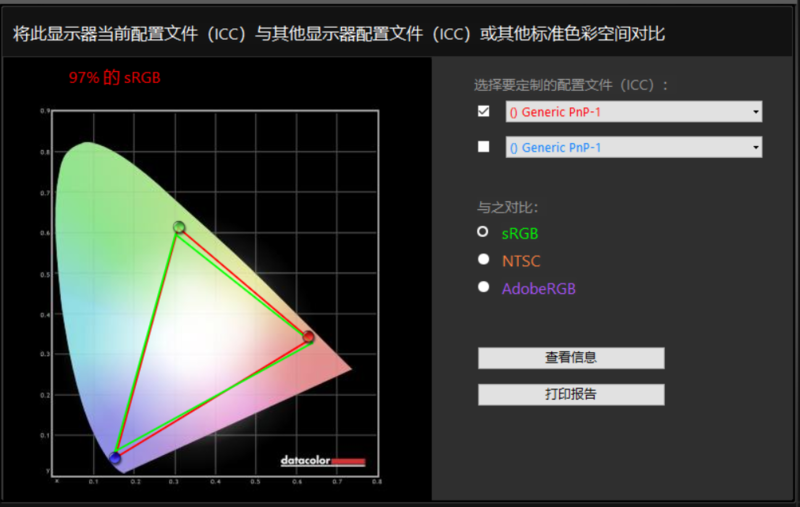 After using the Datacolor Spyder 5 Elite to test the screen, we find that its NTSC color gamut covers 71% and sRGB color gamut covers 97%. The result is the same with what ASUS official party has announced. At present, the screen that the ASUS FX503VM comes with reaches the top level. 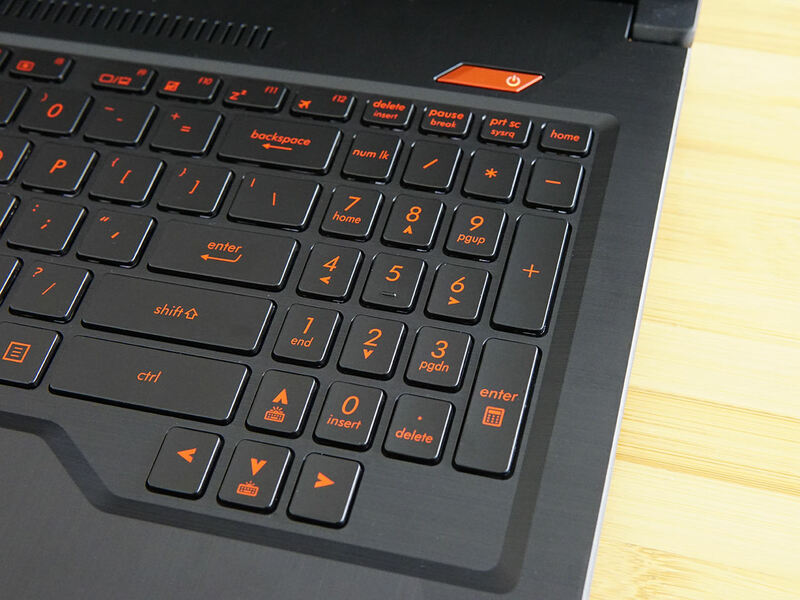 The keyboard of the ASUS FX503VM brings excellent user experience. The keyboard has 1.8mm long key travel key, and it gives a quick response, which makes it more comfortable to type. We can see that ASUS has widened the space key, which can significantly improve the game experience. 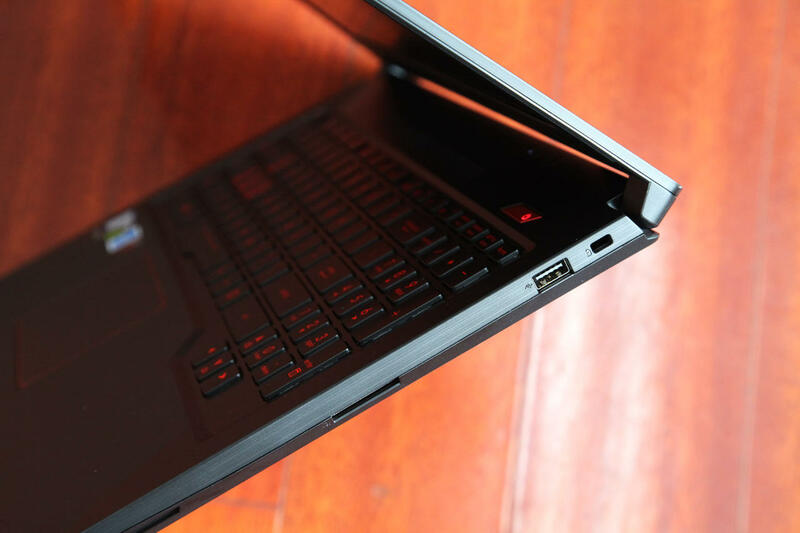 The laptop’s power button adopts red diamond design. It also comes with small keyboard area. 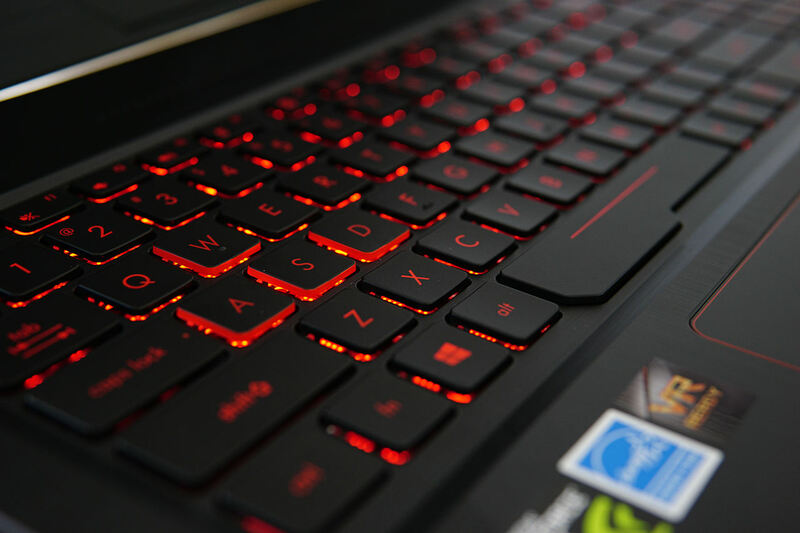 The ASUS FX503VM’s keyboard boosts of a red backlight with adjustable four levels of brightness, which can highlight e-sports theme and make it easier to use in the darkness. The ASUS FX503VM’s port design can satisfy the requirement in daily use. 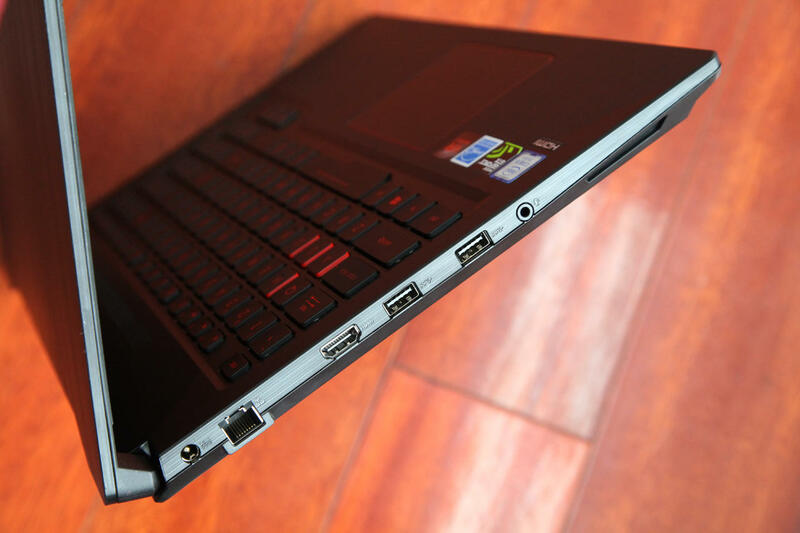 The left side of the laptop provides an SD card slot and a USB 3.1 (Gen 1) port. The ports on the right side include the power interface, a network port, HDMI port, two USD 3.1 (Gen 1) ports and an earphone/micro-phone two-in-one port. The ASUS FX503VM is power by Intel’s Core i5-7300HQ processor with GTX 1060 6GB graphics card. The laptop comes with 16GB of RAM and 128GB SSD coupled with 1TB HDD. Next, we will test the laptop’s performance. The i5-7300HQ processor that the ASUS FX503VM is powered by adopts quad-core four-thread design. The processor’s main frequency reaches 2.5GHz, and its TDP is 45W. 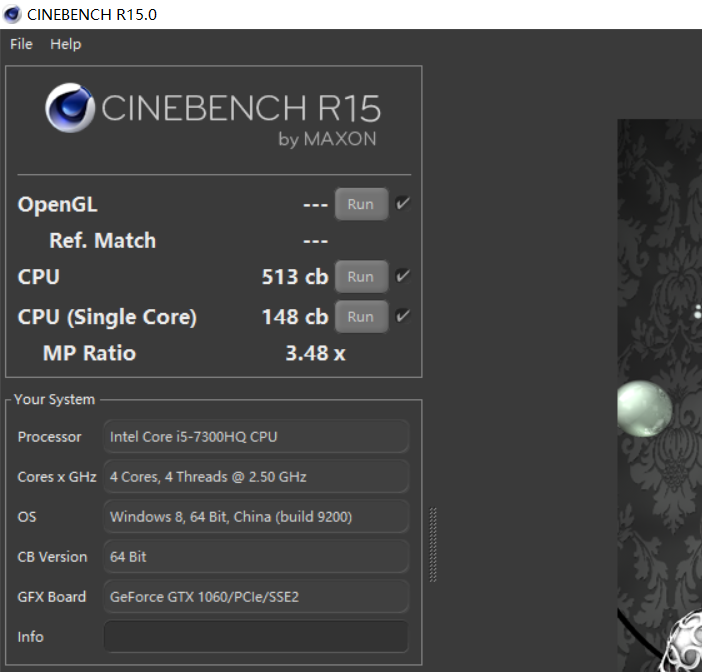 The i5-7300HQ processor’s multi-core score is 513cb, and its single-core score is 146cb on CineBench R15. The i5-7300HQ processor has normal performance. The GTX 1060 graphics card that the ASUS FX503VM comes with is currently most popular graphics card for the game. The GTX 1060 graphics card has got 5,457 scores in the Fire Strike Extreme mode of 3D mark. The GTX 1060 graphics card has normal performance. The ASUS FX503VM comes with a Toshiba 128GB PCIe M.2 SSD. We use AS SSD to test the SSD’s speed. 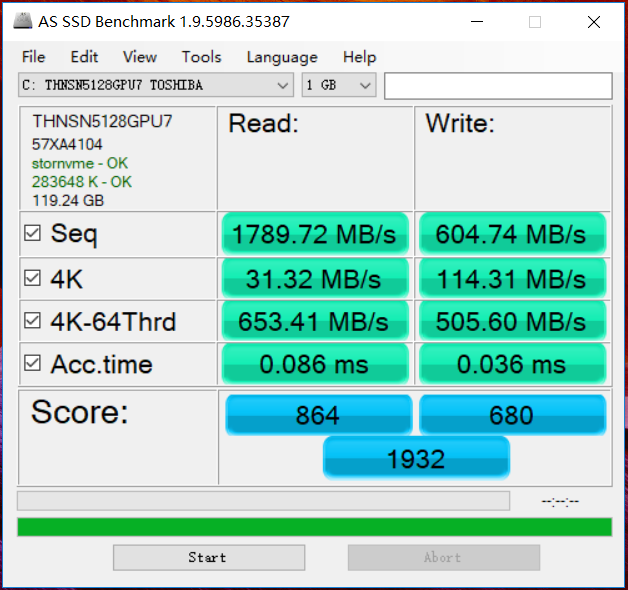 The result shows that the SSD’ sequential read speed reaches 1789.92MB/s and its sequential write speed reaches 604.74MB/s. The SSD that the FX503VM comes with has good performance. We use AIDA 64 to test the heat dissipation performance of the processor and FurMark to test the heat dissipation performance of graphics card. After testing the laptop for 30 minutes, we find that the ASUS FX503VM as a whole has good performance on temperature control. As far as temperature control is concerned, the processor has normal performance while the graphics card has quite good performance. The screen with a high refresh rate that the ASUS FX503VM comes with brings user better experience in e-sports game. 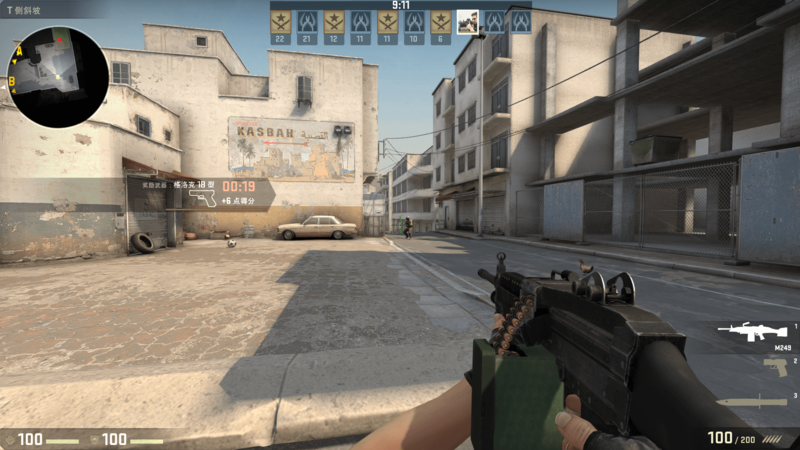 We play the popular game- CS: GO to test the game experience that the screen brings. The screen shows the much fluent game image. 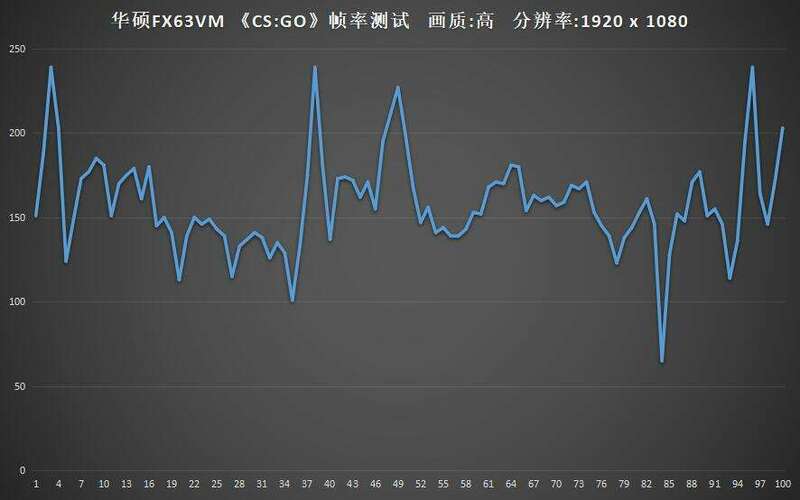 After using Fraps to record frame in 100s in the game and adjust the screen to high-resolution images, we can see that its maximum frame reaches 249FPS and average frame reaches 1580FPS. The screen that the ASUS FX503VM features surpass screen refresh rate standard. 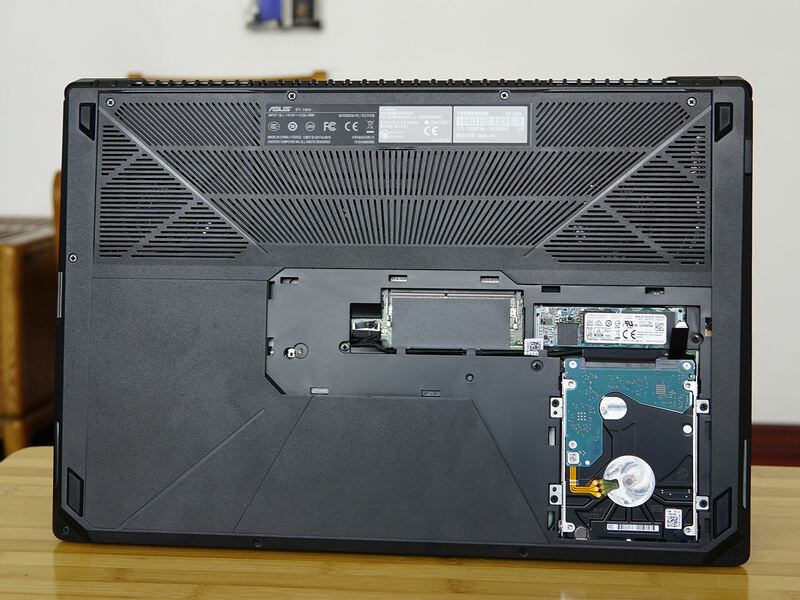 There is an area on the back of the ASUS FX503VM which can be easily removed. Such design enables the user to easily change or upgrade memory, M.2 SSD and 2.5-inch HDD. The 2.5-inch HDD is fixed on the back cover. It is easy to remove the laptop’s back cover. The screw has five different types. 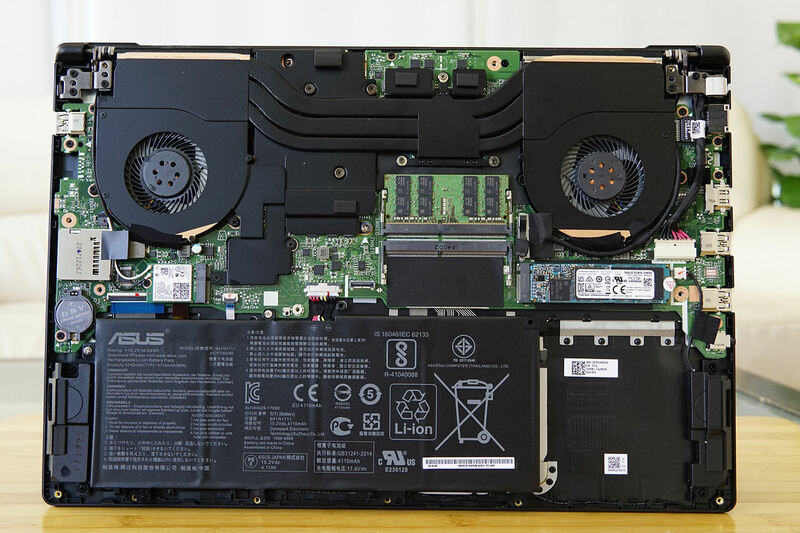 After removing the back cover, we find that the ASUS FX503VM has three heat pipes, which can bring better heat dissipation than its predecessor does. The laptop has a 16GB memory chip.The user can change the wireless network cable on one’s own. Generally speaking, the ASUS FX503VM has excellent performance. The laptop features top-level high refresh screen. Three heat pipes can bring better heat dissipation effect. Besides, the laptop is just priced at $1,290. Undoubtedly it has excellent cost performance. 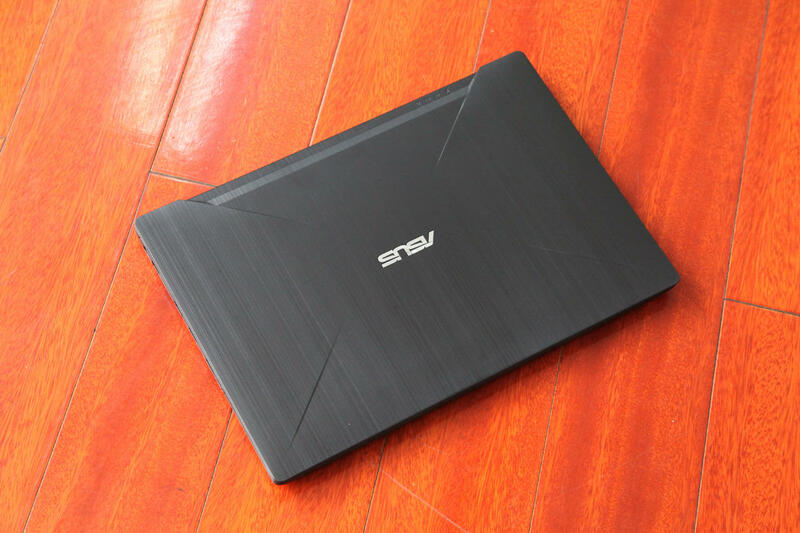 The ASUS FX503VM is a good choice for the user who prefers to play games which require high refresh screen.